It was another day of ice fishing for Mike Nardone of New Jersey. Mike, his 11 year old daughter Aleesa and Mike’s Brother Brian Nardone were headed to a private 5 acre lake that he and 5 other people have permission to fish. Cold air, snow falling, Aleesa was excited to go fishing with Dad as she goes with him as much as possible. Mike drilled holes in the 9 inch ice and began to setup several tip ups using 8 lb fluorocarbon fishing line a 1/0 Gamakatsu hook and a single split shot to get his large fathead minnow to swim around 2 feet off the bottom in 10 feet of water. Mike, Aleesa and his brother Brian would then take turns hand lining their catch after each tip up goes off. So just how big was Aleesa Nardone’s, New Jersey Crappie? 4 lbs. on the button and a total length of 19 1/2 inches! And what did they decide to do with the fish of a lifetime? They released it! We asked Mike what played into his decision to release the fish? Mike stated, “That fish is a breeder fish and I want the genetics of the fish to be passed on to other Crappie.” Some would say Mike is crazy. But only history can tell the tail. Mike caught a 3.8 lb Crappie from the same lake two years prior to Aleesa’s Crappie. We would venture to say Mike’s decision to release big fish is paying off! 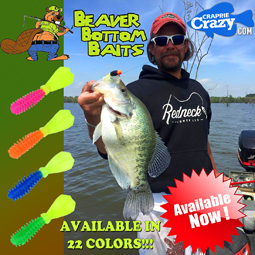 Thank you to Mike Nardone, Aleesa Nardone and Brian Nardone for the exclusive interview, you are “Crappie Crazy”. 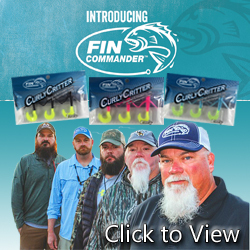 On behalf of the entire Staff here at Crappie Crazy, tight lines!